Barry, Justin Gregory, 27; arrested Oct. 28, 2018. Charged with failure to appear, and escape. Libby Justice Court, $12,500. Basil, Twyla Dawn, 40; arrested Oct. 26, 2018. Charged with Contempt court. Libby Justice Court, $1,100. Released Oct. 26, 2018. Carpenter, Sarah Louise, 28; arrested Aug. 24, 2017. Charged with accountability and deliberate homicide, both felonies, Lincoln County. Released October 23, 2018. Collier, Brandon Lane, 28; arrested Oct. 25, 2018. Charged with 2 counts of felony probation violation. Adult Probation. Released October 28, 2018. Cook, Brittany Lee Marie, 19; arrested Oct. 26, 2018. Charged with Contempt City Court. Libby City Court, $500. Crammer, Christian Eugene, 24; arrested Sept. 30, 2018. Charged with felony criminal mischief and the following misdemeanors: speeding, reckless driving, DUI, eluding, obstructing a peace officer, resisting arrest, and possession of dangerous drugs. Libby Justice Court. Drury, Charles Andrew, 30; arrested October 14, 2018. Charged with tampering with communication device, and partner family member assault. Libby Justice Court. Haflich, Shane William, 45; arrested Oct. 26, 2018. Charged with violation of release condition. Libby Justice Court, $5,000. Howell, Jacob Ray, 34; arrested Oct. 26, 2018. Charged with violation of protection order. Libby Justice Court. Kruse, Andrew Oranlee, 29; arrested October 19, 2018. Charged with failure to appear. Libby Justice Court, $2,500. Lewis, Christian Nathaniel, 25; arrested Oct. 27, 2018. Charged with felony extra-jurisdictional arrest. Cowley Country. McFarland, Jared, arrested October 10, 2018. Charged with felony failure to register as offender. Libby Justice Court, $25,000. Meagher, Shawn Anthony,41; arrested October 15, 2018. Felony, hold for outside agency. Department of Corrections. Released OCTOBER 23, 2018. Miller, Jason Allon, 36; arrested Oct. 2, 2018. Charged with felony possession of dangerous drugs. Department of Corrections. Nielsen, Ricky Lee, 44; arrested Oct. 22, 2018. Charged with operating vehicle without insurance, and habitual offender. Libby Justice Court, $2,500. Released Oct. 23, 2018. Peterson, Jonathan Joseph, 29; arrested Oct. 26, 2018. Charged with failure to appear. Troy City Court, $1,000. Released October 27, 2018. Smith, James Colby, 18; arrested Sept. 16, 2018. Charged with felony extra jurisdiction arrest. Libby Justice Court. 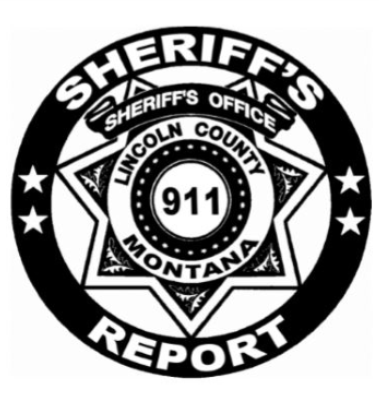 As interpreted by The Montanian from records supplied by Lincoln County Sheriff’s Office. 3:24 a.m. An unlucky logger got banned from a Libby casino after threatening to trash people’s vehicles and arguing with a clerk. By all accounts, he was being a jerk. 3:46 p.m. Someone reported a dark, sleek pc that passed a line of cars doing over 100 miles per hour on Hwy. 2. Hopefully the vehicle was moving too fast for wreck ignition. …Don’t worry if you didn’t get it ride away. 9:51 p.m. A third party told a woman there were two males that seemed to be attempting threats from vehicles across the street on 9th. Officers were unable to locate the men. It was neither clear nor present danger. 10:17 p.m. A home on Balsam was egged by teenagers. Dealing with hormones can leave kids scrambled, or maybe they were just having a gross spurt. 10:17 p.m. A car on Balsam was egged for the second time. Since the first time was just yesterday, it was not over easy. The incident resulted in eggs-essential angst and a yolky clean-up. 10:52 p.m. Someone requested assistance because of a dog on a hillside possibly barking at a large game animal. A forthcoming request to disregard caused animal control to give paws. 7:11 a.m. A local business owner reported someone sleeping in a vehicle in front of the shop. They had been there since the previous afternoon. The business was a coffee shop, talk about a prime sales opportunity. The man left after officers responded but it was not reported whether he ordered a coffee or not. 11:52 a.m. A collared grizzly was hanging out near Kootenai River Rd.